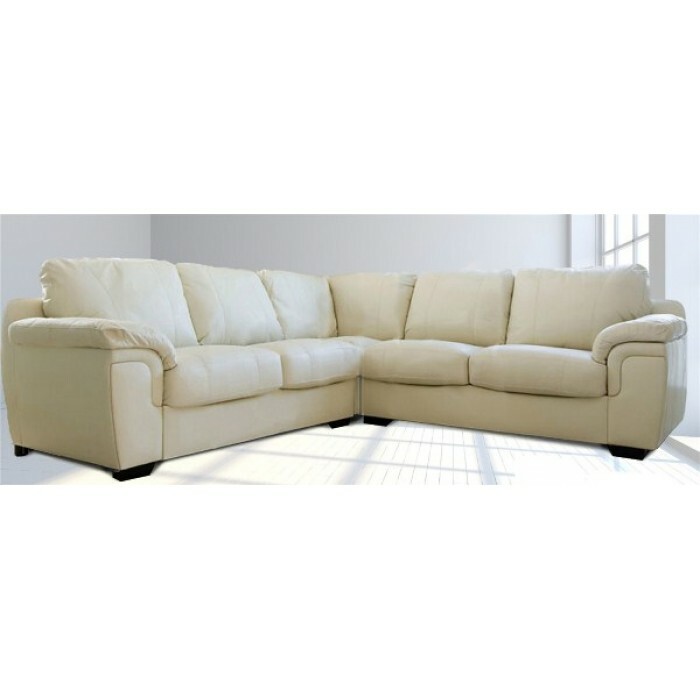 This Alma corner sofa suite would make a lovely addition to anyone’s living room environment. Available in cream, brown or black. As a corner suite, 3+2 suite or even a stand alone 3 seater, 2 seater or even an armchair! Customers have the option to choose from natural leather or pu leather, Price displayed is for PU leather, enquire for natural leather price. Corner sofa suites like the Alma black leather corner suite are becoming more and more popular with young families & its not hard to see why with the amount of corner groups available on line in the sales. The Alma black leather corner suite is ideal for seating large groups of people, whether it be a family gathering or just having friends round for a good old catch up, a leather corner sofa suite can make a small room seem more spacious. Here at RJF Furnishings, we ensure that all our black leather corner sofas are manufactured using a soft thick cut of premium bonded leather that is easy to care for yet tough enough to withstand everyday family use. Pocket sprung seating as standard on all our black leather corner sofas suites ensures the this fabulous black leather corner sofa suite will conform to your natural body shape for the maximum in comfort and relaxation as you stretch out after a long hard day.